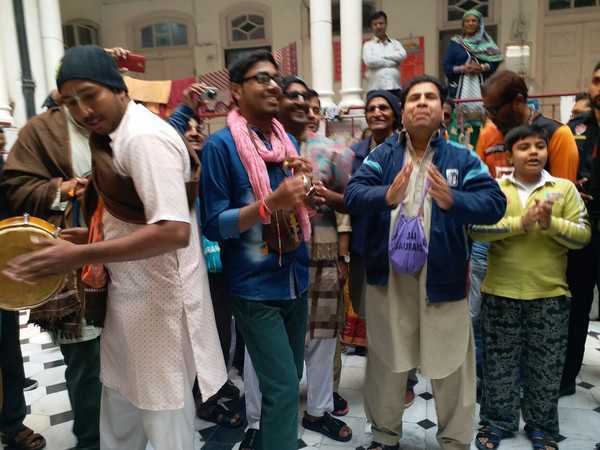 The Pakistan Hindu pilgrims, who had arrived from Karachi in Pakistan to Amritsar, have got their visa extensions, the Ministry of External Affairs (MEA) announced on Friday. An MEA official confirmed the development by saying that the visas of the pilgrims had been extended for at least 15 days. It stated that it did not have any objection regarding the extension of the visa for the Pakistani Hindu pilgrims. The group of 142 pilgrims, known as Hindu jathas, had been demanding their visas to be extended and to permit them to visit other cities apart from Amritsar. With their visas extended, they could now visit other places such as Delhi and Hardwar, the MEA official added in a statement. A Punjab Congress MLA handed over the visa extension letter to the pilgrims. The pilgrims started celebrating at the Durgiana Temple in Amritsar and thanked the Indian government for the gesture. As the visa of the Hindu jatha pilgrims had ended on Thursday, the pilgrims had asked the Indian government to extend the visa. The pilgrims had requested External Affairs Minister Sushma Swaraj to extend their visa for 15-20 days and permit them to travel “beyond Amritsar”. The pilgrims came to India as they expressed their desire to visit Hardwar to immerse mortal remains of their families in the Ganga.